We obtained a copy of the Strategic Planning Community Survey Summary from the Communications Manager, Lisa LaPlante and wanted to share those results with you. Also included in this was the City Employee Survey Summary results. City employees were given a very similar survey, and we will share the results from both groups. Well, this is the meat of the matter, wouldn’t you say? 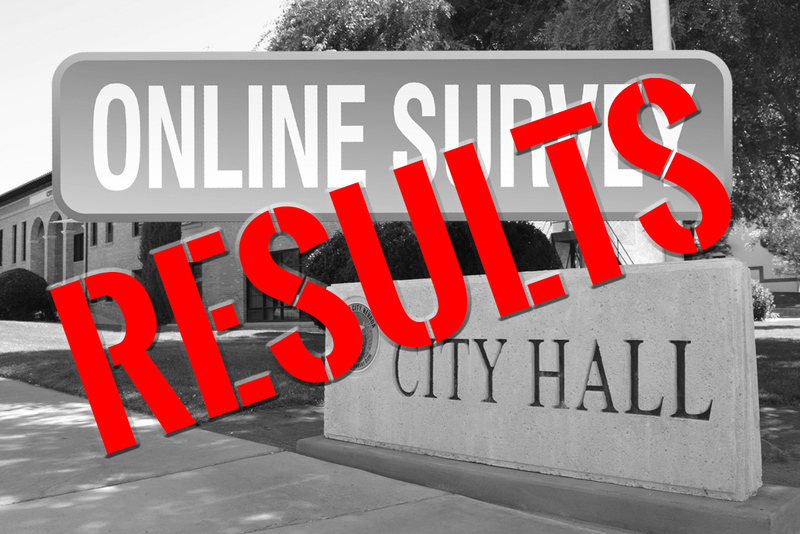 In 2018, 57% of folks who took the survey felt that Boulder City is headed in the right direction. However unfortunately, that is a drop of over 18% from 2012, when 76% of residents surveyed felt the City was headed in the right direction. The question that both city government, as well as us citizens maybe need to ask ourselves, is why? Is this related to economic conditions? Crime? Schools or opportunities for our youth? Or what’s happening at City Hall itself? It’s worth pondering for certain. Remember, the question itself isn’t a black and white statistic – it’s a perception – a feeling we have about our community. Also of note was the question rating the Overall Quality of Life in Boulder City. Both ended up at the absolute bottom of the list. For those who took the survey, they know they were asked to give just 3 words only that “describe their vision for the future of Boulder City”. Below is a word cloud showing the responses from 290 who answered this question on the survey. We’re now going to skip ahead to another key section, which are the responses from the City Employees. They were asked each of the same three key perceptual questions about the direction of the city and the quality of life in Boulder City. After seeing this we wondered, what is the reason for what seems to be a disconnect between the perceptions of the general public and the employees who work at the City? It’s important to note too, that when the City Employees were asked about both the Program Priorities and also their Vision Words, that their answers overall were extremely similar values to the residents on those same questions.